Could it be Nero's Dining Room? Not only was Nero a Roman emperor, it turns out he may also have been the father of the revolving restaurant. 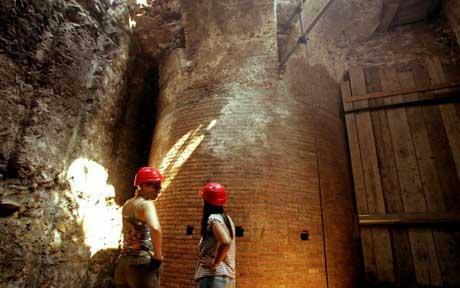 Archaeologists unveiled Tuesday what they think are the remains of Nero’s extravagant banquet hall, a circular space that rotated day and night to imitate the Earth’s movement and impress his guests.